Frank Ski had a lot to celebrate and dropped hints this past weekend on Twitter. 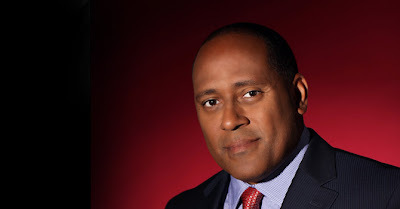 Frank Ski has signed on to host a new syndicated afternoon radio show that he will anchor from Atlanta and Washington. He will make his debut on September 9th. Jay Michaels, a contestant on the Washington's Next Big Voice contest, revealed on facebook that Frank Ski, the former morning host at V-103 (WVEE) in Atlanta will be added to the afternoon lineup at 96.3 WHUR in Washington, D.C. and in essence had won the contest that began last April. Congratulations to Frank Ski formerly of V103 in Atlanta, he tweeted he'll be on WHUR and also syndicated, Thank you who supported me, Maxx Myrick your my guy thx for bringing me out to DC for a paid vacation/audition ..I'm excited for what only God has in store for me. We recently updated the happenings at WHUR, when long time Washington veteran radio personality Michele Wright was heard in the afternoons. At the time WHUR hadn't made a decision regarding the contest. But the possibility of WHUR hiring a local full time host was remote, given the fact the owner of the station, Howard University is in the midst of some financial difficulty. The station which carried the Michael Baisden Show, only budgeted a specific figure for programming for this year. That amount would have been exceeded if the station brought in a live local host. Folks who had hoped for local legend Donnie Simpson, were out of luck, simply because they could not afford him. Frank Ski, who worked tirelessly on trying to secure a syndication deal, left his long time morning show at V-103 in Atlanta last December, when he expressed a desire to have his show syndicated by his Atlanta employer CBS Radio. However CBS Radio does not do syndication at any of their stations. They believe in local hosts no matter if it's music, sports talk, or general talk radio. (The one exception is Al Sharpton on talk station WAOK in Atlanta.) Most other companies would have gone the syndication route with the talent they once had employed at their stations. Maybe Big Tigger or Donnie Simpson at Washington's 95.5 WPGC, or Nick Cannon at 92.3 NOW FM in New York, or J Niice and Julian at B96 in Chicago, but it was never a consideration. CBS Radio also does not have a big urban radio presence in their company. Atlanta, DC, Charlotte (with two urban stations), and Hartford are their only urban/urban AC music formatted stations. Frank Ski had no other options but to leave CBS Radio. Frank Ski revealed more today via twitter. Several years ago God placed a calling on my heart. A calling to expand my reach as a radio announcer, so I would be able to serve more people. A calling to heed the lessons of radio and television greats before me. A calling to own and control my brand. After much prayer and consultation, I left Atlanta's V103 FM last December to follow God's calling. Today, I am proud to announce the new Frank Ski Afternoon Show that will launch Monday, September 9th! The Frank Ski Afternoon Show will broadcast live from the nation’s capitol, Washington DC, out of the WHUR FM studios. What makes this so special & so personal, is that my radio career began in DC, and I'm excited to win the heart of DC like we did the ATL. Soon I will announce our Atlanta partner, but in the meantime, the show can be heard from 3pm - 7pmon the TuneIn Radio App or online at www.WHUR.com. Yes, I will be living between DC and Atlanta, and yes, I will also continue hosting “Celebration Saturday’s” at my restaurant. Thank You for supporting me on this journey!I am beyond excited to be in line with God's vision for my life! Congrats to Frank SKi! But I thought Keisha Monk won the contest. What's up with that?